I had the opportunity to photograph and interview Mrs Smith one day before her 92nd birthday this past May, at home in Manhattan. It was a great honor and profound pleasure to meet her and to feel her indomitable spirit which continues to prevail in spite of the many emotional heartbreaks that she endured in her life. Monica Smith was born Dorothee Wurzburger in Stuttgart, Germany, on May 10, 1923. Her mother and Anne Frank’s mother were first cousins, and Anne was six years younger than her. 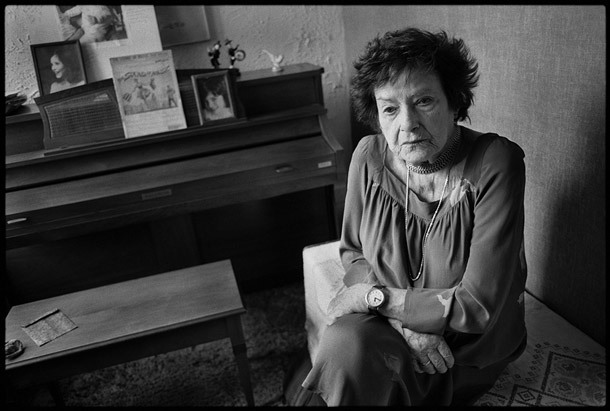 In 1938, when it became increasingly evident that the situation for Jews in Germany was dangerous, Mrs. Smith’s parents put her on a Kindertransport to Holland where she was housed in an orphanage near Amsterdam. Anne and Otto Frank would come and visit her regularly and bring peanuts. “I didn’t realize that she would become a saint. Maybe that’s what was needed. Her fingers were always covered with ink”. In 1940, Mrs. Smith was reunited with her parents and they went to England where they boarded the RMS Samaria for the transatlantic crossing that took them to New York and would save their lives.